I always like to make sure that I write a post to celebrate the first day of every month - as you all know. It is almost like my editors note to you all to provide some positive vibes and encouragement to think happily about what's to come. We could all create a list of negative aspects in our life that we would like to air out. We are in a society that complains far too much. What happened to appreciating the little things? Is it so hard to do? Let me start off with my 10 REASONS TO LOVE JULY! I am currently on holiday soaking up this lovely summer sunshine in Madeira, so I think this has definitely got to be NUMBER ONE! It's my niece Rae's birthday 26 July 2015 - she will be three years old, the little cutie! Pub gardens and Fruit Cider - this is a compelling factor as to why July is so frigging awesome! I do love to have an ice cold Koperberg or Rekordilig on a summers day! BBQ season - I am reusing this one from June - YES get me a burger and sausage! Perfect month for a picnic - I just purchased a new picnic basket from Homebase and it's a wonderful/ cheap day out with you and friends, boyfriend or family. Quality time is key! Music - I do love creating a summer playlist (see blogpost) and what better time to blast those tunes than driving around whilst the sun is shining and enjoying the moment! Films - SO many great films coming out! I love the cinema, as a film critic at heart I LOVE watching and reviewing films in my spare time. FINALLY number 10... Baking season - county fairs and family moments. What better time to bake, you can get your kids or friend involved and be apart of some real quality time cooking great food together! 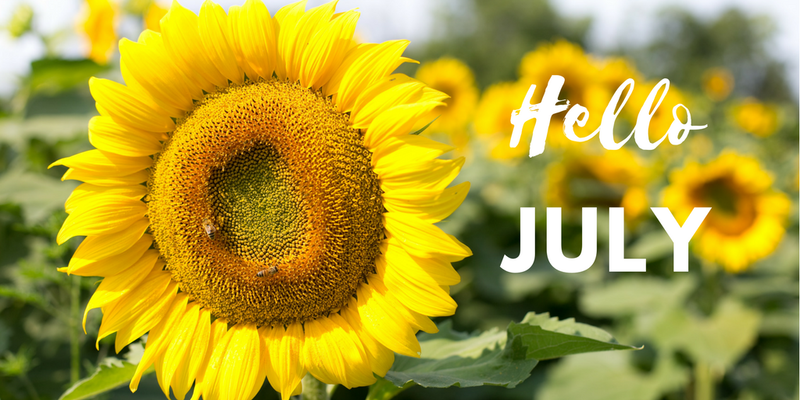 This is my 10 reasons to LOVE July! What do you love about it?